All MCPS High School students may enroll at Thomas Edison High School in the Construction and Development Cluster easily. Just fill out an application and select which courses you want to take. The Construction and Development Programs allow students to pursue designing and constructing. Students can participate in apprenticeship programs or earn college credit in post secondary construction programs. Each year, students participate in the Young American Design/Build Project. 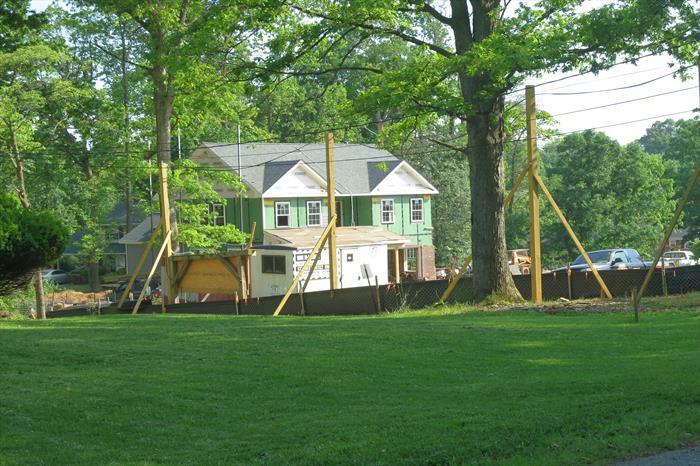 Through the design and construction of a house, students engage in a real-life project. The house is then placed on the market for sale. The CTF is a nonprofit foundation established cooperatively by the Montgomery County business and professional community and Montgomery County Public Schools to provide a unique method of training high school students for skilled positions in the construction field: the Young American Design/Build Project. Each year, students design and construct a house, which is then placed on the market for sale. Check out the Construction Trades Foundation video that overviews the CTF programs. Tuesday, May 24th at 6:30 p.m. Please join us on Wednesday, May 23, 2018 at 6:30 p.m. at 1327 Smith Village Road, Silver Spring, MD. We will be celebrating the completion of our 41st Young American Home. Please see flyer for more information. We hope to see you there! Connecting people with a career in the construction industry. Learn More. Watch videos and view photos of the May 2016 event. Through our partnership with Montgomery College, students have the opportunity to enroll in two classes there while enrolled at MCPS. Learn More. Harold H. Huggins Reality, Inc.